Provides access to 30,000 articles about composers, musicians, genres, instruments, etc. Purdue Online Writing Lab - Chicago Manual Style, 16th ed. The dictionary emphasizes technical, theoretical, and musicological aspects of music. The treatment of operas focuses on the date and place of an opera's premiere, period, and setting, but no plot synopses are given; it is worth noting that Russian opera entries give the English as well as Russian transliterated title (e.g., Rimsky-Korsakov's “Golden Cockerel” is “Zolotoy pyetushok.” The dictionary includes high-quality drawings (most useful when they are of instruments), musical examples, helpful cross-references for foreign language entries, and suitable bibliographies of source material. 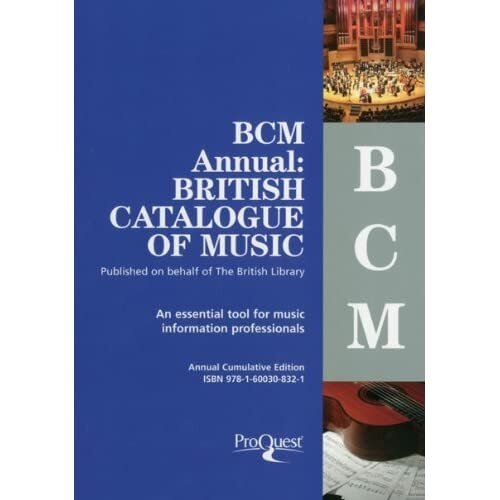 This is an essential reference book for undergraduate music students. 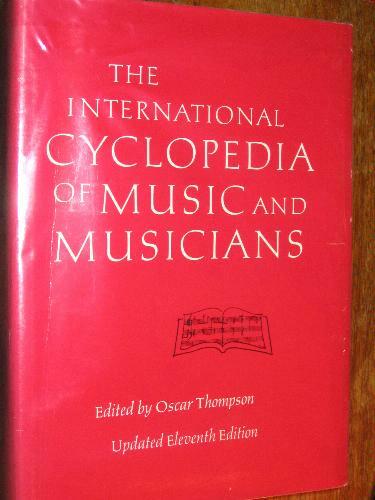 Despite being outdated (1989), this one-volume encyclopedia remains a useful quick reference guide to composers, musicians, and compositions. Encyclopedia entries run the gamut from two-lines to multiple-page articles. An unusual but handy feature is the remarkable numbers of composition title entries, which often include program notes. There is no consistent preference of selection: mediocre works from a composer may be listed while a more influential one is absent. Therefore, this book is beneficial for researching peripheral areas of the music literature. 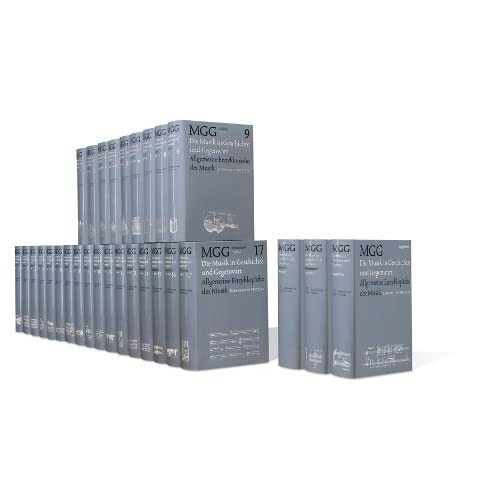 Widely regarded in the literature as the greatest and most comprehensive multivolume encyclopedia in the field of music. The most authoritative work of its kind, featuring more than 2,300 scholarly contributors and roughly 50 editors, the dictionary (really an encyclopedia) encompasses all areas in music: classical, contemporary, folk, popular, and world music. Thousands of illustrations of persons, places, and instruments grace the pages, in addition to notated music examples. 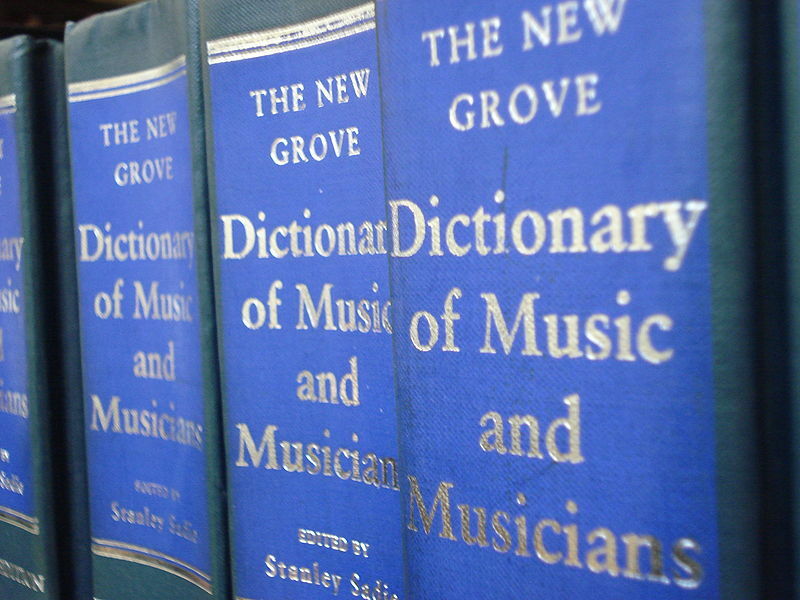 This dictionary is available online through the database Oxford Music Online. The intended audience for this reference work is arguably the amateur music lover. It features lengthy articles of composers, instruments, historical styles, etc., which are easy to find from numerous headings and cross-references throughout the text. Many of the articles on significant topics are prefaced by brief summaries or abstracts. An interesting tidbit about this reference work is that the composer entries will mention at what age the composer died. Seemingly trivial, but it can save time doing math. 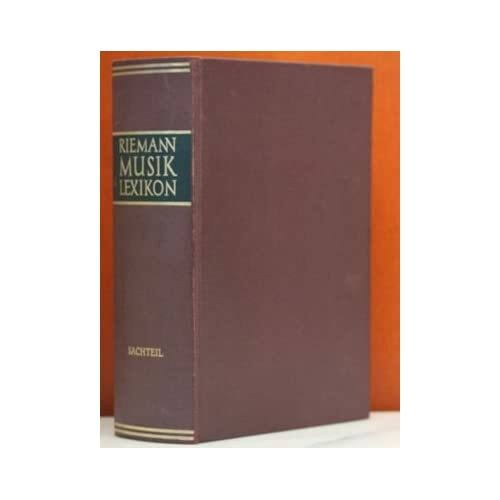 Touted as one of the most significant musicological undertakings of our time, if not all time, this is a German multi-volume encyclopedia of scholarly renown with an impressive number of international contributors. Composer entries are particularly useful because they often contain an exhaustive works list and even go so far as to include the current publishers (if the works are still in copyright). To English-speaking users, this source is predominantly used for its authoritative bibliographies that include foreign sources. This German reference work, first published in 1882, contains biographical entries with an emphasis on performers. The coverage includes not only famous performers, but lesser-known figures not found in other music encyclopedias. Thus it is a radically different reference tool best suited for the graduate music student, music professor, or researcher. A French encyclopedia in two volumes. It contains biographical, geographical, and terminology entries. What makes this work particularly distinctive is that it includes entries for important music manuscripts and music libraries, as well as a preference for obscure French composers and other areas of French music research. This dictionary contains entries for themes notated monophonically (without harmony or accompaniment) on single staves; regardless of the length of the theme, an entry will not exceed ten bars. Themes are organized by composer and composition title and are indexed as if they were composed in C major (no sharps or flats). In addition, the theme lacks time signature and note values. In other words, no differentiation is made between long and short notes. This reference work, therefore, is geared towards those fluent in reading music who must be able to transpose a theme into C major in order to find its entry in the index. Despite the coverage ending at 1952, the range of composers represented is impressive and includes the modernists of the 1920s-40s. MSU has the single-volume first edition (1952), but there is an updated second edition in two volumes (1978). This is the vocal music equivalent to A Dictionary of Musical Themes (see entry above). 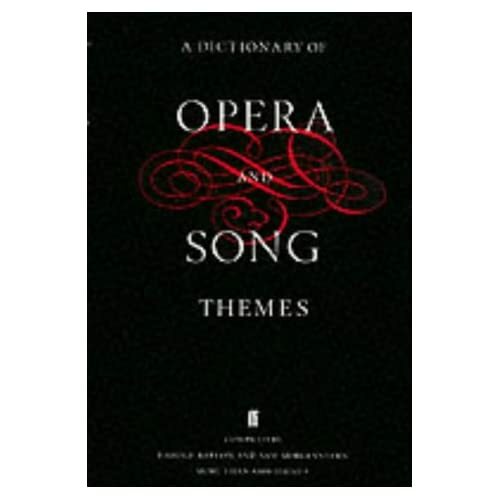 It quotes over 8,000 themes from operas, songs and church music along with the sung text. Many important themes from post-1950 vocal works are not represented. A standard reference work providing biographical sketches for composers and musicians. Theodore Baker's dictionary first appeared in 1900 and this six-volume work has since reached its ninth edition. Biographical entries are not confined to composers and performers only. The editor opines that “the proper title of the book ought to be Baker's musicians, librettists, publishers, impresarios, and sundry other men, women and children who have to do with music.” The style of entries gives the works list and bibliographies in paragraph format. 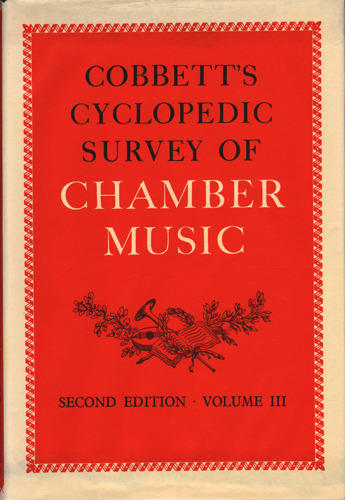 Officially described as “A record of music and books about music recently published in Great Britain, based upon the material deposited at the Copyright Receipt Office of the British Library, arranged according to a system of classification, with a composer and title index, a subject index, and a list of music publishers”. Although the Catalogue is more relevant to British music scholarship, it is a substantial resource for pinpointing music items published in the UK and other parts of Western Europe. Duckles' bibliography is a monument of music scholarship and a vital guide to researchers seeking resources. Just about any kind of music research can be aided by the sources herein. The fifth edition features contributions by music librarians, lending an authoritative touch to its scholarly descriptions, references, and reviews of sources. The book itself is organized by these broad categories: dictionaries and encyclopedias, histories and chronologies, biographies, directories, yearbooks, catalogs of music libraries and music collections, discographies, and even other bibliographies. In print since 1966 and now available as a subscription database, RILM is comparable to IIMP and The Music Index, but is far more comprehensive. It includes bibliographic citations of more than just the periodical literature and provides abstracts for every record. In addition to the standard periodical literature (journal articles, reviews, etc. ), RILM includes essays, dissertations, bibliographies, and papers published for symposiums and conferences. The abstracts are typically written and signed by the authors of the original articles. The standard multivolume reference work on music history with over forty international editors overseeing the project. Beginning with the earliest notated music of Gregorian chant and ending with the latest advances in the contemporary avant-garde, this reference work is the largest (3800 pages) and most thorough of its kind. Each volume is comprised of a number of essays contributed by experts, and each subject is edited by a specialist in the field. The 2009 edition includes an index and up-to-date bibliographies. These are the staples of music history textbooks. Grout's A History of Western Music is the standard college textbook for undergraduate music history courses, while Abraham's Concise Oxford History of Music provides a lengthy one-volume alternative. Lang's Music in Western Civilization is also a remarkably comprehensive and slightly more scholarly history of the development of music. While all three require passing familiarity with reading music, they are generally accessible to non-music students. All three complement each other. 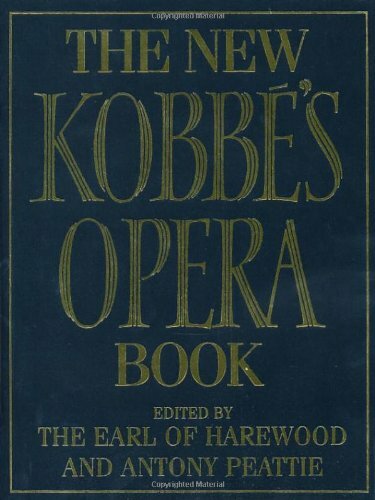 Contains plot synopses, histories, musical examples, and performance details of over 300 operas. Operas in this one-volume reference work are arranged initially by nationality and then further in chronological order by composer. There is also a separate chapter on important historical periods of opera (pre-1800, 19th century, and 20th century). Some synopses can appear as brief notes or long articles. Nearly all entries, however, are equally meticulous in indicating the librettist, instrumentation (and vocal parts), and the original place, date, and cast of the opera's premiere. The intent and scope of this single-volume book is to provide “a skeleton history of opera, in dates and other facts. 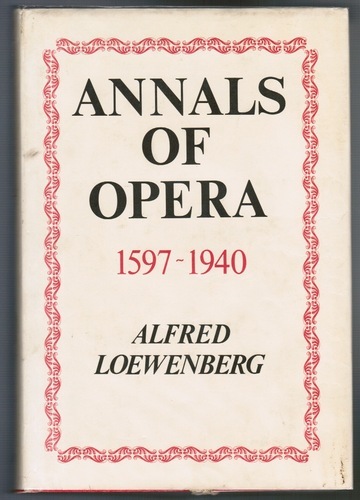 It is therefore arranged chronologically, but by means of copious indexes it can also be used as a dictionary of opera. There are no descriptions of plots, no musical analyses, no personal critical comments.” While German, French, and Italian opera titles are not translated into English, Russian operas are transliterated from the original Cyrillic script. This single-volume work indexes a wide range of songs, each organized by the following headings: General, National, and Folk. Each heading is then subdivided further by such subheadings as English, French, German, Christmas carol, and college songs. Songs are then arranged alphabetically. This index has full details about certain song books and anthologies and will often mention the publisher, pagination, and number of songs included, as well as the date and key of individual songs. This hefty (1400 page) reference work examines the chamber music literature with descriptive and historical essays written by an international team of experts, many of whom are famous music figures (Casella, d'Indy, Tovey, Wellesz). Appearing frequently throughout the entries are personal reactions from the editor, himself an amateur string player, who comments on the music's difficulty, influence, or other odd facts. 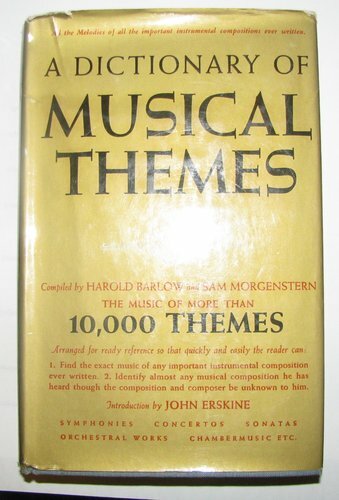 This thematic catalog includes 1,500 entries arranged by composer. As expected with thematic catalogs, the complete output of composers is listed in addition to historical facts: publisher, date and place of first performance, librettist, even the last known location of the original manuscript. The more famous composers whose works have been designated cataloging numbers (Mozart, Schubert, Scarlatti, etc.) are all listed with appropriate number sequence. Mozart's Koechel (K.) numbers, Scarlatti's Longo (L.), Schubert's Deutsch (D.), Purcell's Zimmerman (Z.) for example. Some composers have multiple identification numbers (Vivaldi and Scarlatti, for example), which is capable of confusing even the music professor. In this catalog, both numbers are listed. This reference tool is of permanent reference value. It is unlikely to be outdated, although some catalogues have been updated with minor amendments.